Learn more about Christa Watson’s fabric line Abstract Garden, and enter to win a giveaway for a FQ bundle! I’m getting up to speed for the Good Fortune Mystery Quilt, and it’s getting spooky. 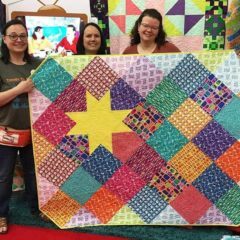 Ever wanted to know how we decide how to quilt a quilt? 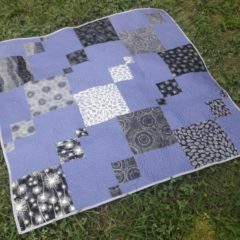 Learn how, and get a chance to win free Modern Marks fabric at the same time! We’re helping Christa Watson celebrate the launch of her new book with some quilting of our own! 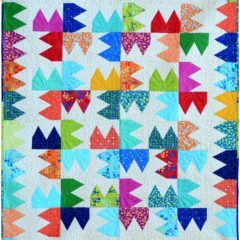 Its a blog hop; check out the Poppy Power mini and enter to win a finished quilt!